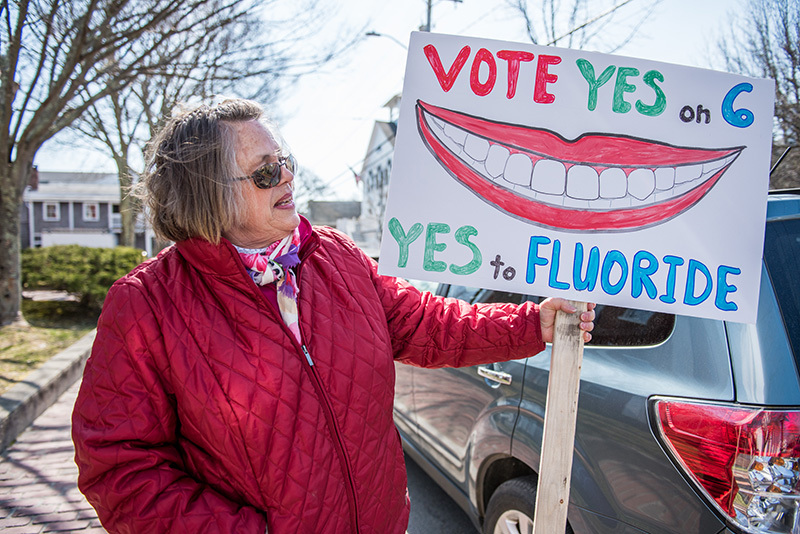 Voters overwhelmingly defeated an initiative to add fluoride to the town’s water, a rebuff to a controversial order issued by the board of health. In a vote of 700-253 with 16 blanks, the fluoride initiative lost, despite the strong backing of dental and health professionals on the Island. The town’s board of health voted to add fluoride, prompting a controversy over the decision and the process used to issue that order. The town’s water commission opposed the move. Ultimately, a petition was circulated to bring the fluoride issue to a townwide vote culminating in Thursday’s no vote.